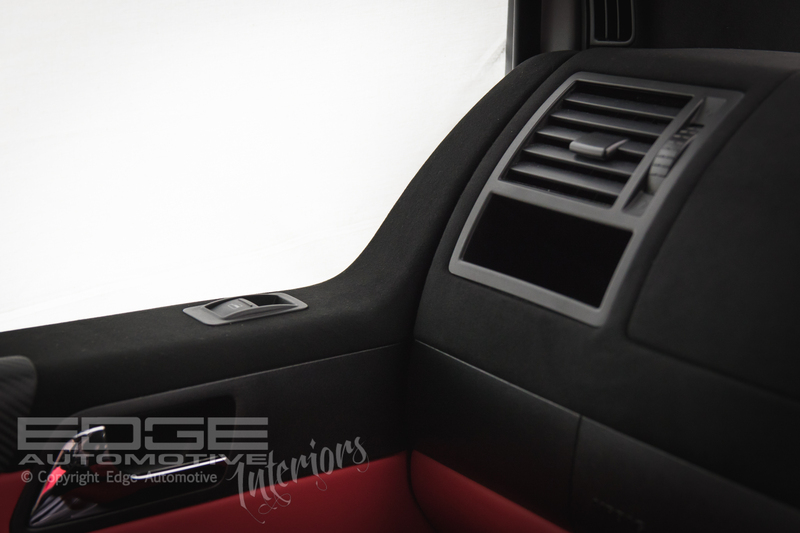 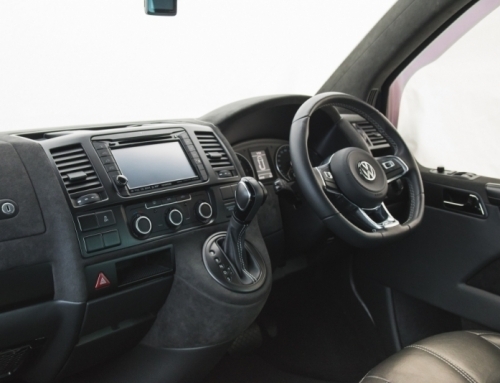 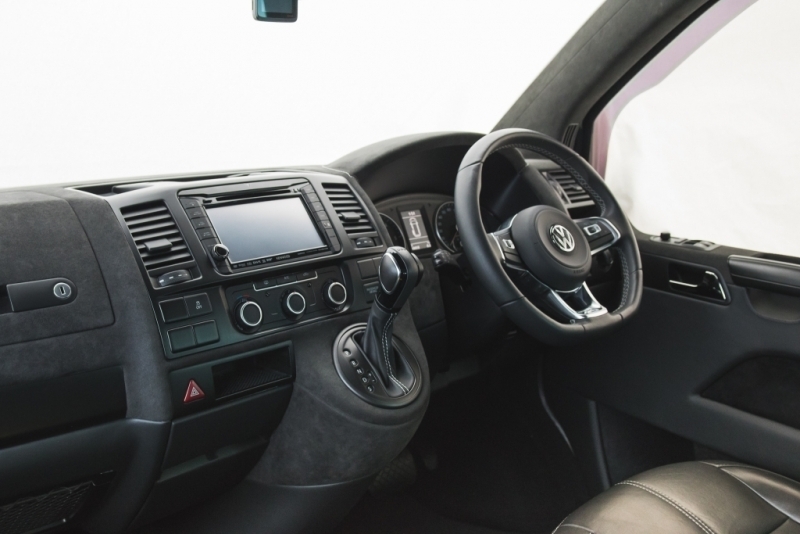 VW T5 interior, completely refined. 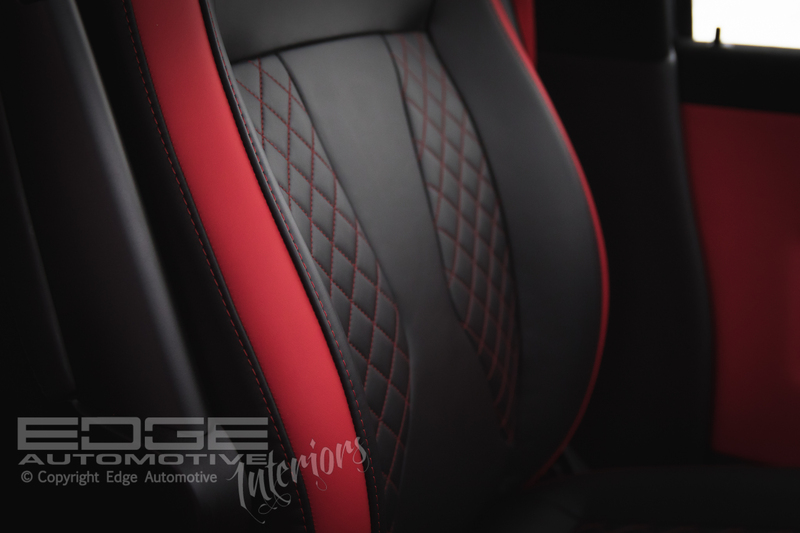 The Customer asked for a Red and Black theme, a classic! 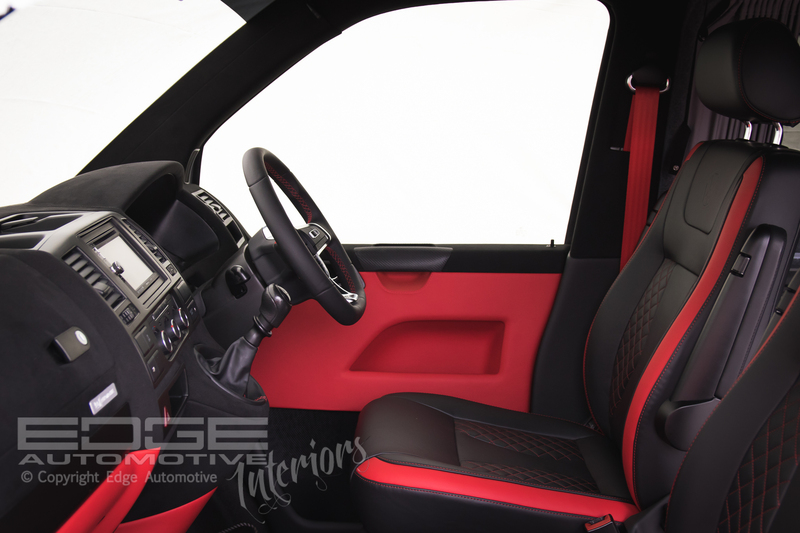 Alcantara and Smooth Napa leather used to trim the front cab of the VW T5. 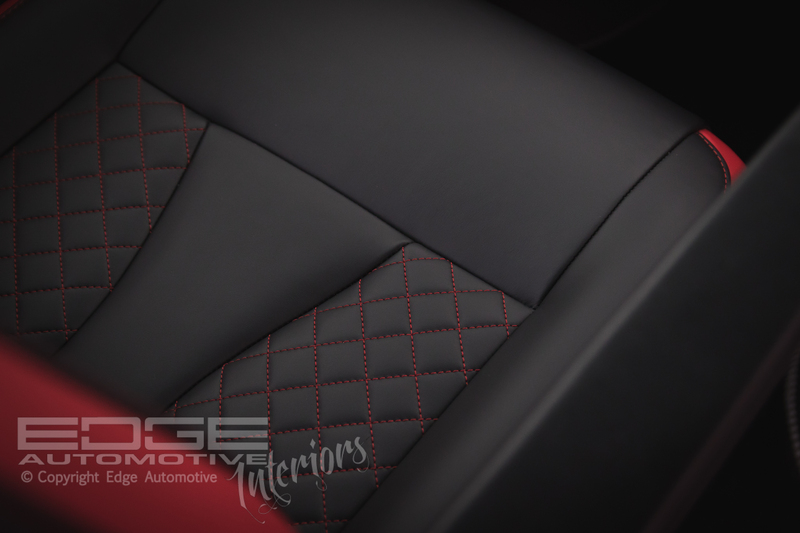 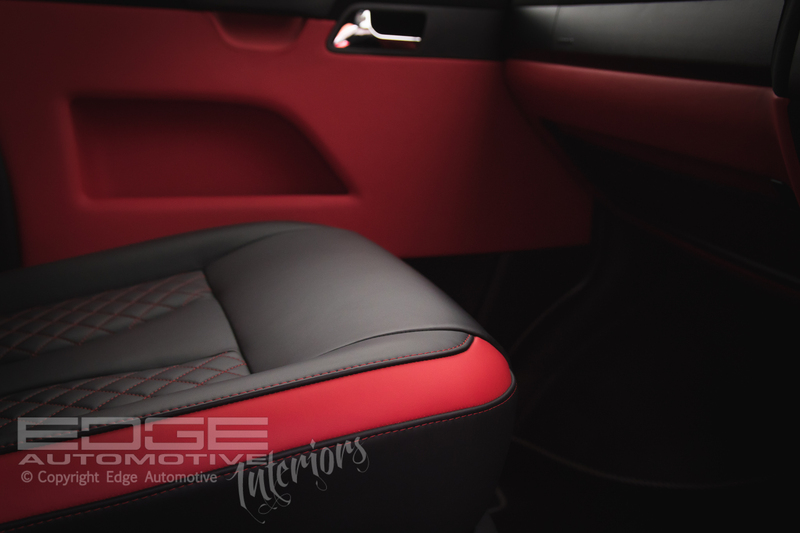 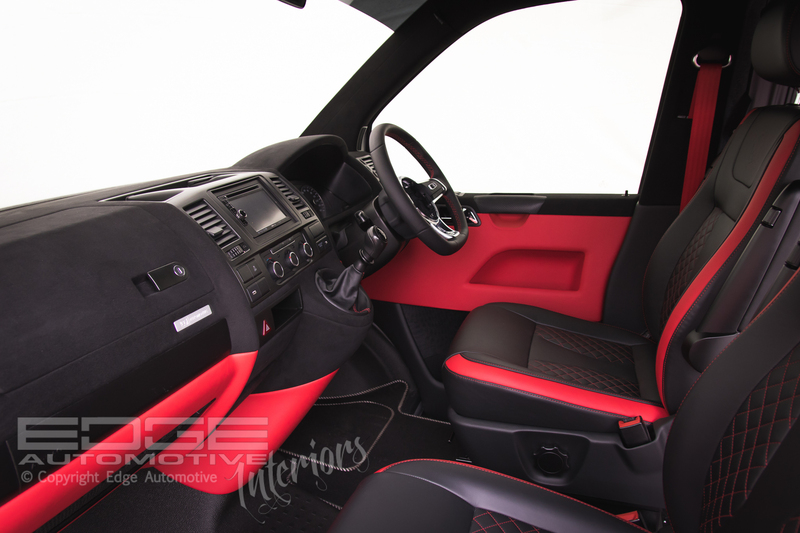 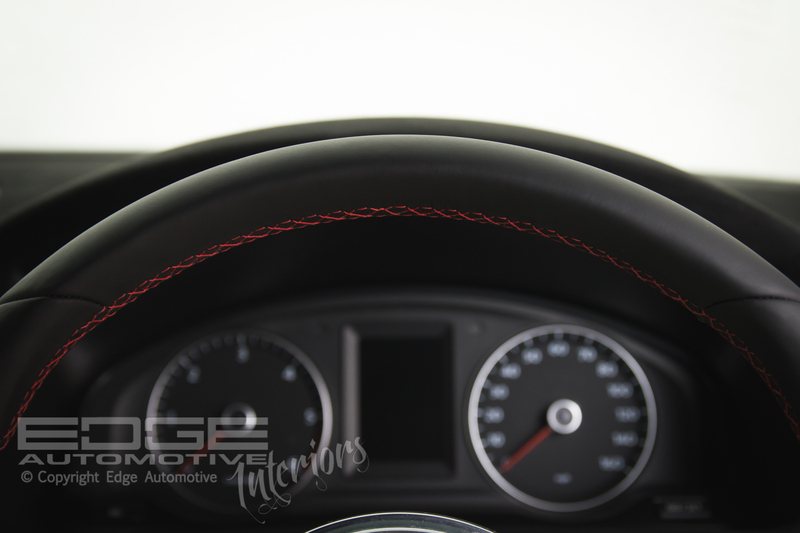 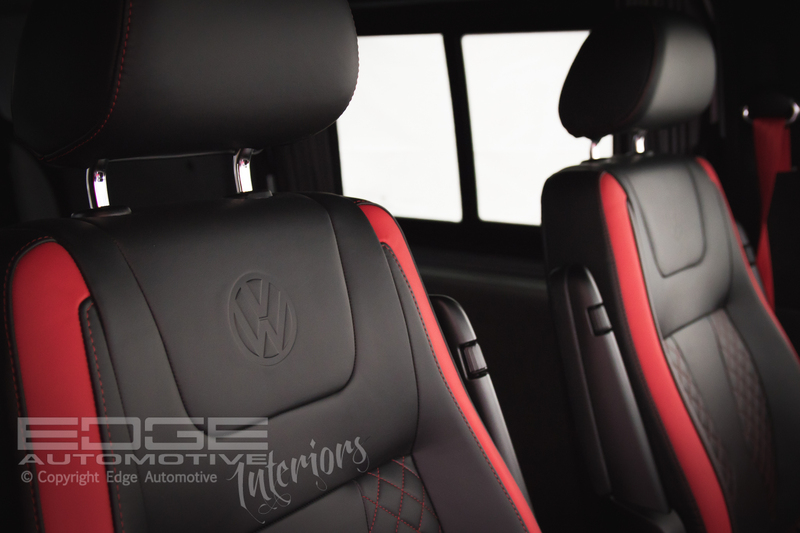 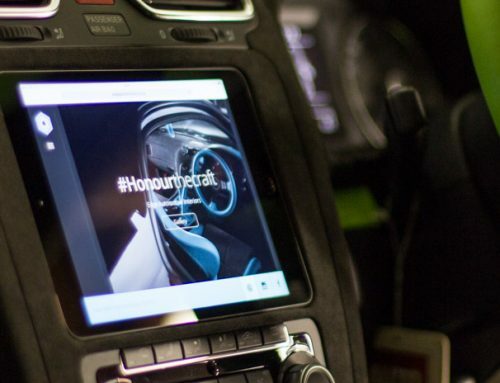 We worked together with the customer to finalize a complete custom redesign of the VW T5 Captain seats. 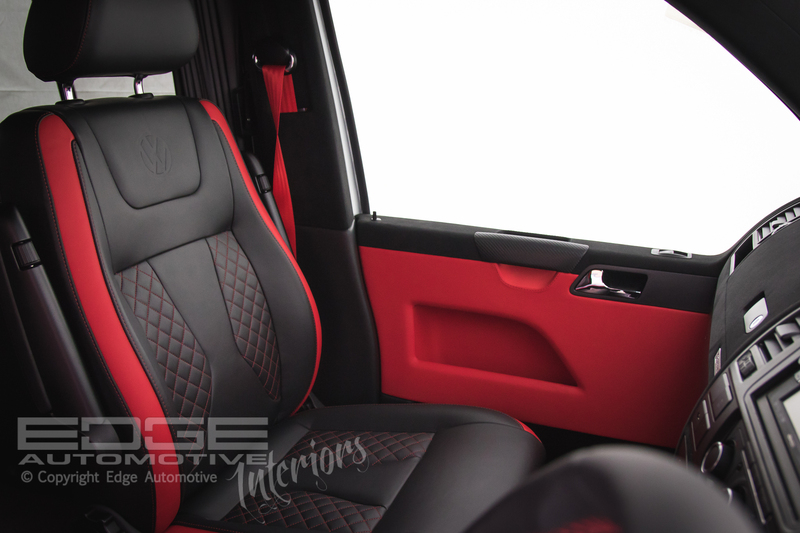 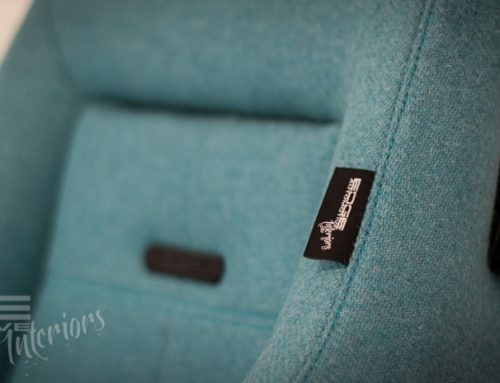 We then used our Italian Napa range ‘Le Mans’ on the seats and through the rest of the cab. 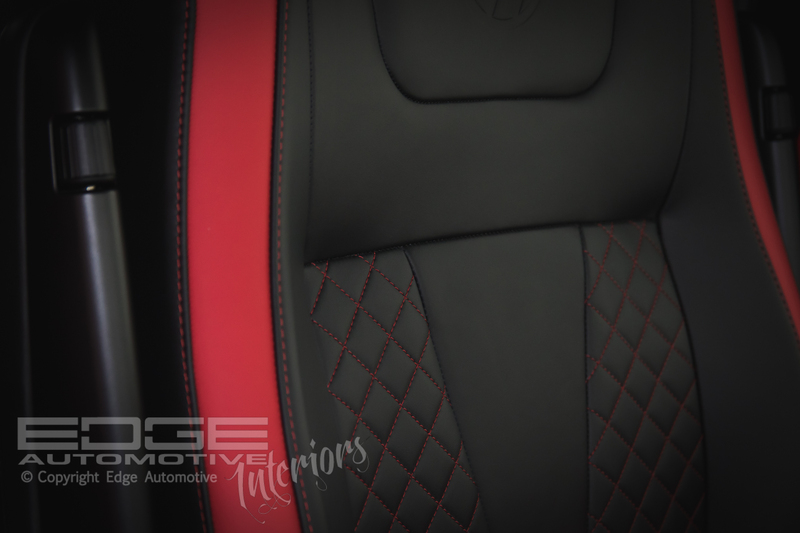 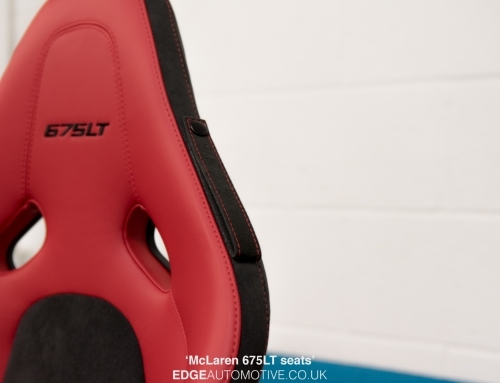 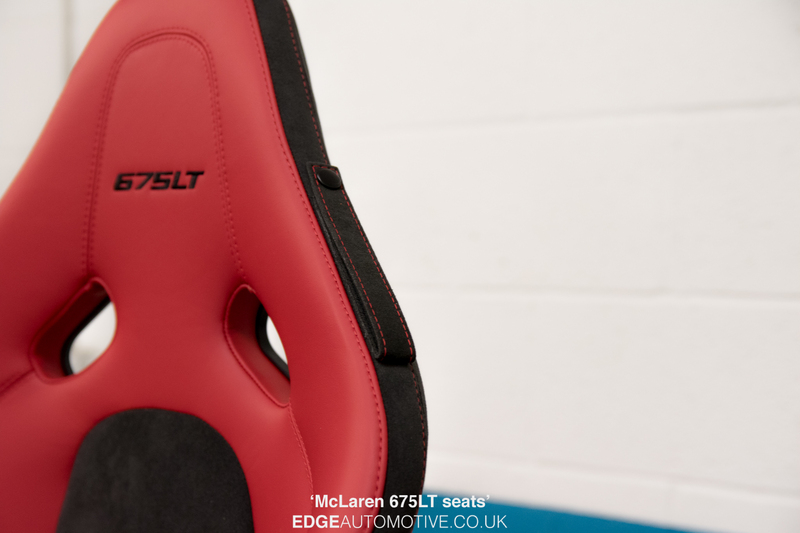 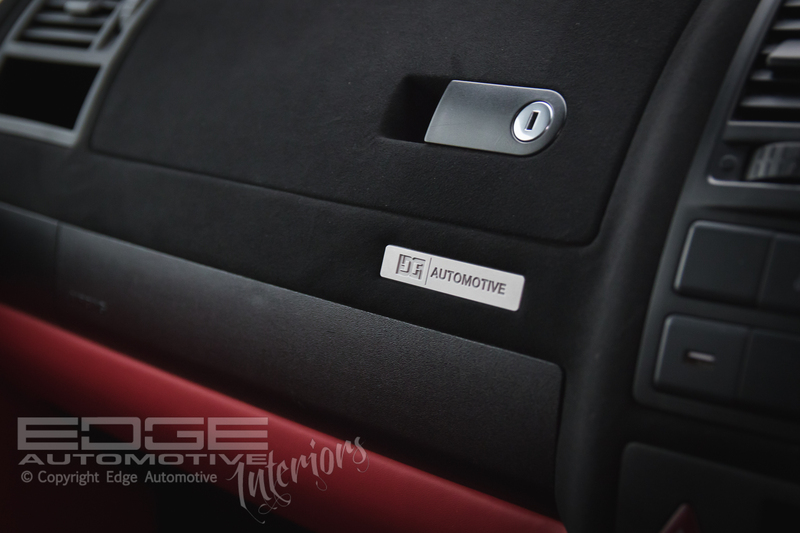 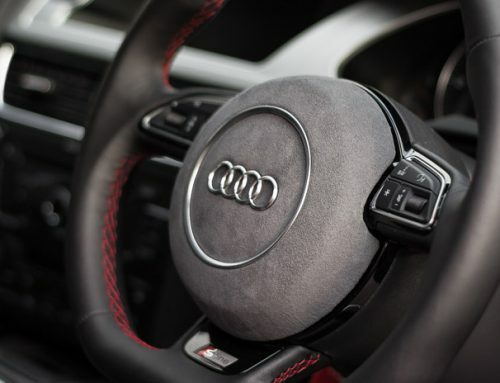 The same Napa leather used on the seat plastics, while all handles and knobs painted matt black. 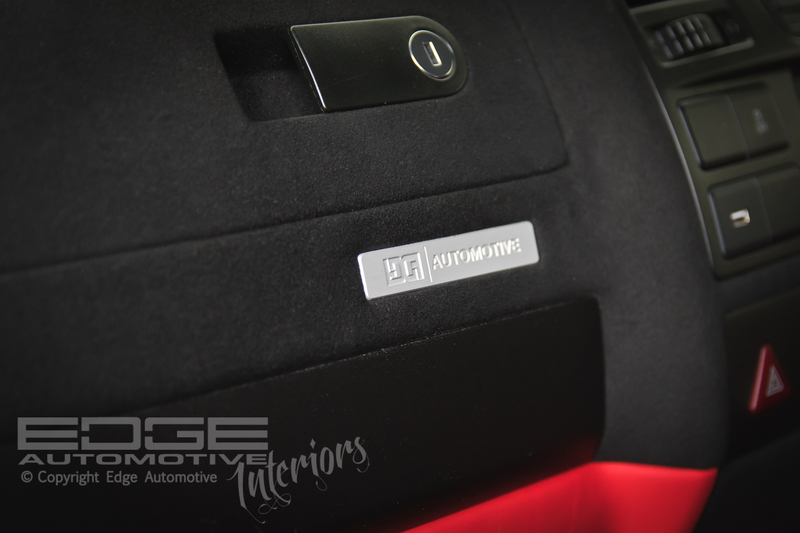 The Headliner, A and B pillars, Sun Visors and Dash all trimmed in Alcantara, while the grab handles, lights and other plastics, painted matt black to match the Alcantara.